Employees use sneaky ways to steal from their employers. They always think one step ahead of their employers and come up with unique techniques to trick and deceive them with their spiteful art. In 2017, a staggering 85,000 employees in the United State are reported to have stolen a total of $110 million from their employers. The data is collected from the field of retail only which is a shocking discovery for the people associated with this industry. Employees stealing from the cash register is one of the reasons why most start-ups fail to survive the first two years of operations. Workplace theft has become a common occurrence in almost every type of business. It squeezes the profit margins of a business, which slowly and steadily eats up the entire business. 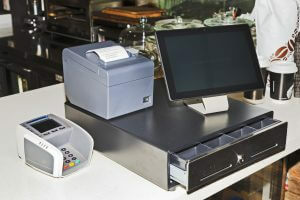 The most common forms of theft in the retail sector are theft of cash and theft of merchandise. employees working in a retail establishment know everything about the business, including cash influx and outflow. Unfortunately, it is quite easy for them to steal from the business at a time of their own choosing without the fear of being caught. One study finds that American retailers lost about $300 billion in goods and cash in 2017. These whopping figures reveal that there will always be employees that steal from their employers whenever they get a chance, especially when they are tasked to handle the cash register. This opportunistic behavior of the employees is costly to businesses, which often results in company employees overshadowing company interest and replacing it with their own that leads a company to fail miserably. Once all employees have collectively understood the benefits and advantages of moving together with the business interest, it brings about long-term sustainability and growth. Undoubtedly, employees have the power to change the entire fate of a business by remaining true to their job. They can make a business grow exponentially and bring about significant returns. Where they are perceived as the ultimate game-changers, they can also make a business lose every penny. Employee threats can do serious damage to any business, especially if the business is of small scale. Employees who tend to steal from you are always in search of loopholes that they can capitalize on. During shift changes, corrupt employees will always try to shift the cash shortage blame onto the next employee. Thus, cash register drawers must be assigned to one employee, instead of multiple people, in order to avoid internal conflicts. When multiple hands are involved, it gets harder to find the real culprit who stole from you. Large retailers find surveillance or CCTV cameras quite useful for monitoring cash register drawer and to catch employees stealing from their cash registers. If your cashier intends to steal from you, you will know exactly where to check. Small retailers consider it expensive to install CCTV cameras, but such investments always pay off in the long run of the business journey. You can easily find inexpensive surveillance cameras available online and at local stores. This is a wise and easy way to know about your employees. Placing extra cash in the cash drawer reveals a lot about the morals of the person you are working with. If the extra cash is consistently missing, you will surely get to know who is stealing from you and whom to trust with handling cash. Regular bookkeeping checks reveal the financial position of a business. A careful analysis should be made and discrepancies in cash and goods must be recorded for knowing where they appear to go missing. Prior to taking any action, such as firing an employee or filling a lawsuit, you must have concrete evidence of theft.